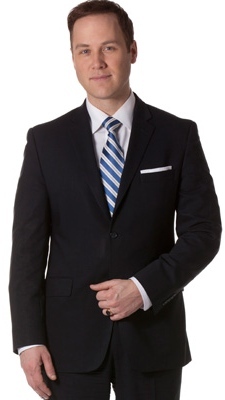 As anchor of CTV News Channel afternoons and evenings, Todd van der Heyden brings Canadians breaking news as it happens across the country and around the world on the daily afternoon program airing from 2 p.m. to 5 p.m. ET / 11 a.m. to 2 p.m. PT. A cherished member of the CTV family, van der Heyden moved to CTV News Channel to anchor nationally in January 2012. He also occasionally occasionally sits in on The CTV National News and CTV’s premiere morning show, Canada AM. His move to the national newscast came after a 12-year-career at CTV Montreal, where he co-anchored the flagship weekday 6 p.m. and noontime newscasts. Van der Heyden first joined CTV Montreal in January 2000 as a daily reporter. In 2003, Todd was given the investigative segment, ON YOUR SIDE, which he hosted for five years until his promotion to full-time anchor. During his career in Montreal, van der Heyden won several industry awards for his reporting including three RTNDA awards and one CAB award. Career highlights with CTV News over the past 16 years include: covering the September 11th, 2001 terrorist attacks on assignment in New York City; covering the election of Pope Francis in March 2013; and a month-long assignment covering the 2014 Winter Olympics in Sochi, Russia. In addition to television, van der Heyden hosts a weekly syndicated talk radio show (“VIEWPOINTS WITH TODD VAN DER HEYDEN”) every weekend in Ontario, Quebec and British Columbia on different Bell Radio stations. Currently, the show can be heard on Saturdays and Sundays on CJAD in Montreal, CJBK in London, CKTB in Saint Catharines/Niagara Falls and CFAX in Victoria with more markets to follow. A Montreal native, van der Heyden has a bachelor in Journalism from Carleton University in Ottawa and a graduate degree in Communication Studies from Concordia University in Montreal.